To optimize - quantify at first. Sensors are the prerequisite for measuring and quantifying the parameters required. Sensors making parameters measurable are the basis of process automation, monitoring and controlling quality, production and process improvements and the IOT. MSO GmbH makes innovative sensing and monitoring solutions available, providing you with the tools for optimizing your applications and processes. MSO GmbH develops, manufactures and sells sensors and systems for measurement of sprays, "free" thrown particulate material flow, liquid and particulate material flow in ductwork and fully integrated systems for monitoring sprays and particulate material flow. The NEW SprayRay sensor measures the radar signature of a spray thus enabling characterization and assessment of spray quality in the application in real-time. SeeDector enables real-time measurement of amount and speed of a material flow conveyed through plastic pipes or tubes on e.g. pneumatic seed drills or applicators for mineral fertilizer or liquids e.g. slurry. SeeDector deploys a novel measurement technique based on Doppler microwave radar measuring material flow in movement. The sensor is directly clamped onto a plastic pipe/tube with a steel sheet bracket (wide range of diameters available) without alteration of the existing design - no cutting, nothing built into, no alteration, no disturbance of the flow. 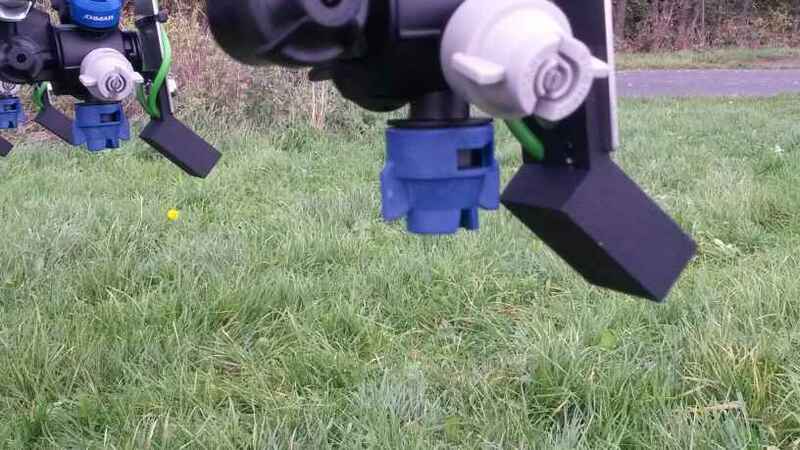 The Radar Sensor System from MSO GmbH is the core measurement component of the Rauch Axmat System for measurement and control of the lateral distribution of disc spreaders. The sensor system measures the amount of material and its lateral distribution over the "launch zone" as it is thrown from the rotating disc. The Rauch Axmat system adjusts the lateral distribution accordingly by adjusting the delivery point of the material flow onto the disc. The lateral distribution of the material is thus optimized on the go. The Rauch Axmat swivel arm system has been further developed to the Rauch Axmat duo with two radar sensor arrays each with 27 radar sensors mounted on ring segments. More about Axmat and Axmat duo. For precise speed measurement in off-highway applications - without the need to calibrate - we do offer the MSO AccoSat speed sensor. AccoSat combines a 3D accelerometer with a DGPS receiver with high sensitivity delivering true ground speed measurement. More about AccoSat speed sensor . 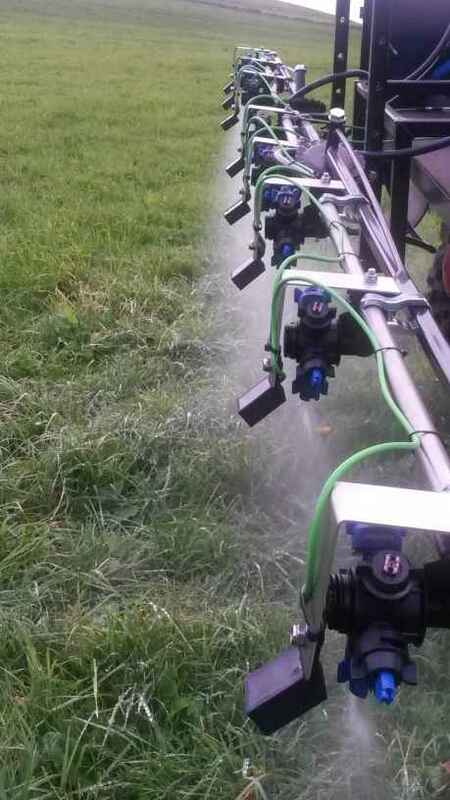 The SprayMon system integrates the SprayRay sensors monitoring the quality of the spray of the nozzles of a sprayer. SprayMon alarms the operator when a configurable deviation of the spray quality occurs. More about SprayMon Spray quality monitoring system. The SeedMon Blockage monitor provides for monitoring of material flows in pipes / tubes while seeding and application of mineral and liquid fertilizer e.g. slurry. The SeedMon system consists of MSO SeeDector sensors, hubs and sub-hubs and head unit (MSO on-board computer, alternatively an ECU of an OEM). A blockage is detected in an early stage of building up if and when the material flow throughput drops underneath a threshold percentage set on the head unit by the operator. The software of the MSO SeedMon head unit (on-board computer) is specifically custom-made for easy to operate uncluttered blockage monitoring and detection. More about SeedMon Blockage monitor system.